Lack of control over work conditions. 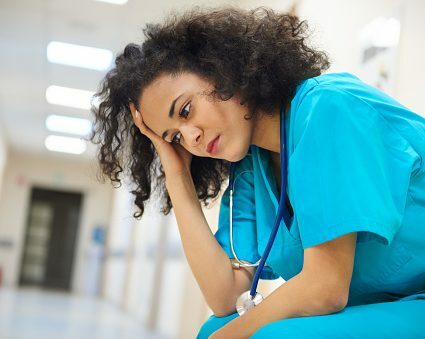 Schedules, workflow patterns, pace, organizational culture, reimbursement constraints, and resources are determined by others, who are often far removed from the bedside. Family responsibilities. Children and/or aging parents can add extra stress to a healthcare provider’s day. Add overtime (voluntary or mandated), and the number of stressors multiplies. Healthcare is unpredictable. Emergencies arise and demands shift without notice. Preset schedules, staffing, and productivity targets prohibit an urgent realignment of priorities, even when absolutely necessary. And within the chaos is the reality that a caregiver must move onto the next patient, often without coping with the most recent crisis. Use templates, scribes, and software to reduce documentation time and complexity within the EHR. Communicate with leadership regularly to discuss work conditions, scheduling, and culture. This assumes that leadership is engaged and committed to improving the work environment and promoting work–life balance. Change. Whether it be a new position, a new organization, or a break from work, change can help you recharge and refocus on YOU. Develop resilience. This is a huge! Resilience is the process of bouncing back from difficult or stressful experiences and can be a learned skill. Mindfulness exercises have been shown to improve resilience. Let’s talk about that last item. When I first heard of mindfulness while at a conference, I was hooked by the science of the entire process. It’s super cool and basically interrupts your body’s stress response and does sort of a “CTRL-ALT-DEL” to your brain. I called my daughter and asked her if she had ever heard of mindfulness. She said, “Funny you should ask mom, our director of residency is making all of us go to an all-day retreat on mindfulness next week.” My daughter went to the retreat and is now the Chair of the Physician Wellness Committee at the hospital where she is in her residency. Is she out of the woods as far as burnout? Probably not, but I feel better knowing that she has skills in her tool box now to promote resilience, which is a step in the right direction! 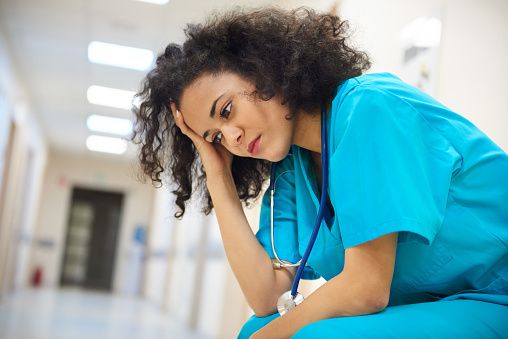 What has your organization done to combat physician burnout? Share your experiences in the comments below. Shanafelt T, Dyrbye L, West C. Addressing physician burnout: the way forward. JAMA. 2017;317(9):901-902.